I have the feeling that we need more topics like this, actually. I was thinking of starting one about swords. It looks great Veraal. Nice job. 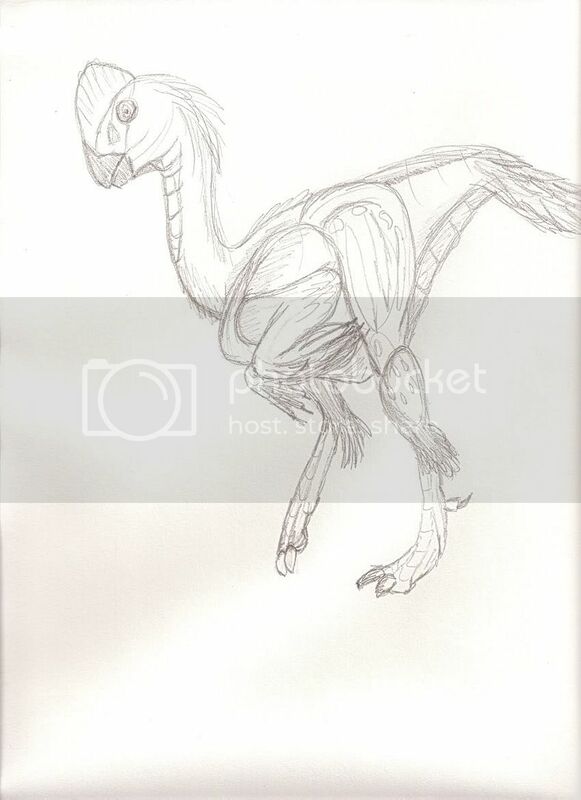 Hopefully I can get to doing the body, then we'll start moving on to other species. 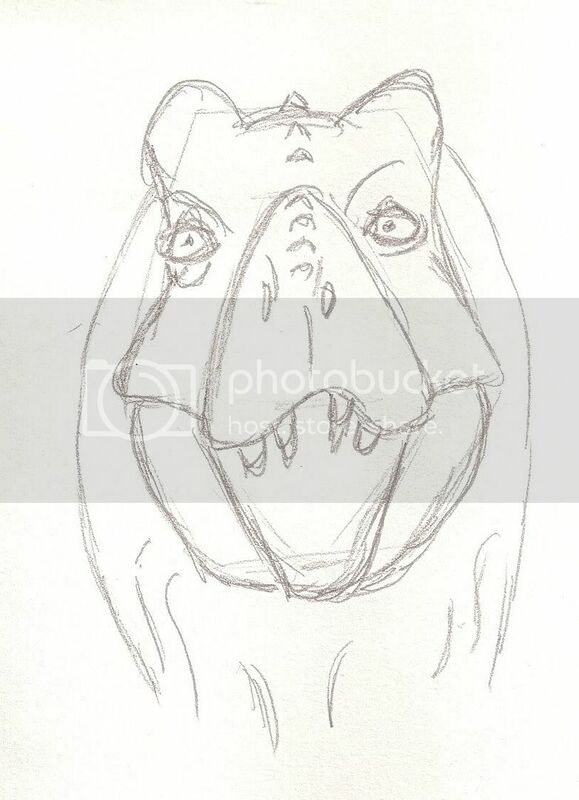 I attempted the dinosaur drawing. First I tried the head tutorial, then I picked a picture and tried the whole thing. 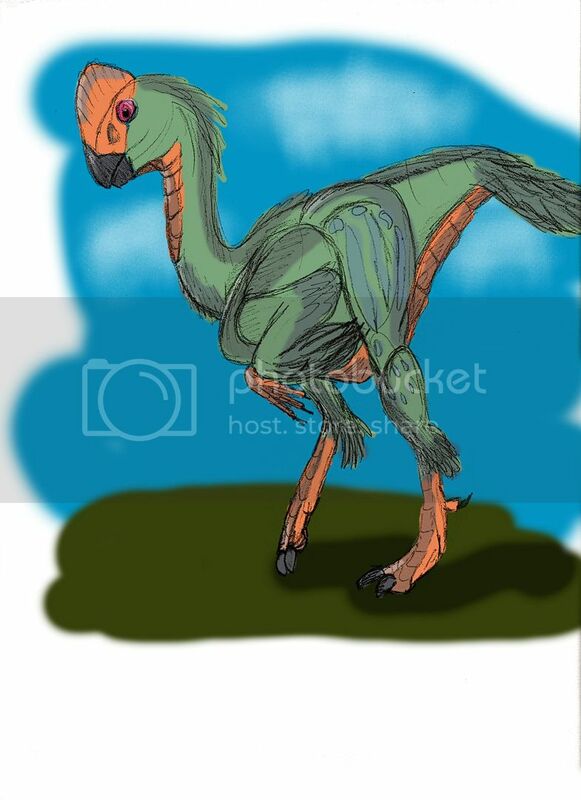 Then I attempted an Oviraptor. Those are really nice, LadyM! Also, stay tuned for my drawings which I have yet to draw, coming soon to an internets near you! Darn it! 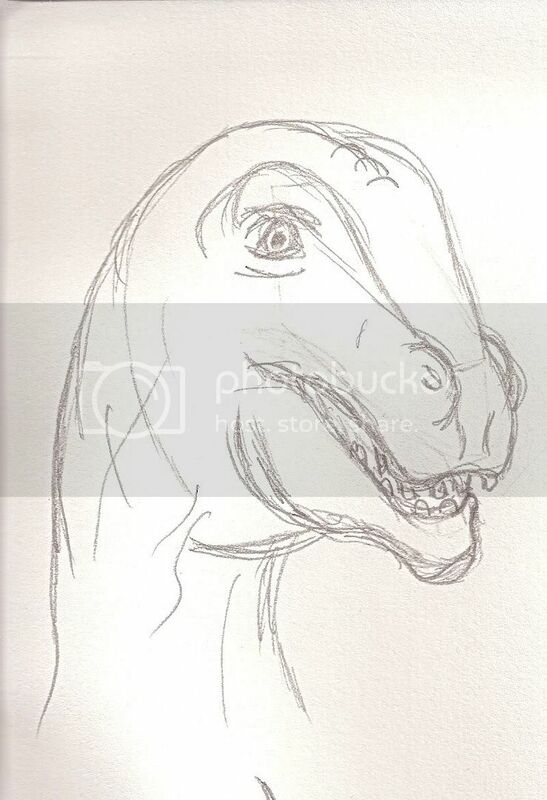 Where's that Armagasaurus I drew? Reference doodle for you guys. I think we get enough of the T-Rex. You did the most work on the torso, and the least on the head, didn't you? It only took me a minute or two.